Without telescopes, we would know incalculably less about the universe beyond Earth than we do today. While these tools have come a long way since Galileo's 16th-century invention, their essential parts -- lenses, mirrors and structural components -- remain fundamentally unchanged. Every telescope has two lenses -- an objective lens and an eyepiece. Both of these are biconcave, that is, curved outwardly on both sides, like a classic "flying saucer." The objective lens is at the end pointed toward the object you're looking at. In a hand-held telescope, the eyepiece is at the opposite end, eliminating the need for a mirror. In a larger model, the eyepiece is on the side of the unit, so a mirror is required to bounce the light rays collected from the objective lens perpendicularly toward the eyepiece. Don't fall into the trap of equipping yourself with a top-flight objective lens and mirror while regarding the eyepiece as an "anything will do" part of the optics chain. When you replace a workaday eyepiece with one of genuine quality, you may be astounded at the difference in your viewing experience. Keep a simple, handy equation in mind -- the magnification you get is simply the focal length of the objective lens divided by that of the eyepiece. Clearly, then, an eyepiece with a shorter focal length will offer a higher magnification level for the system as a whole, all else being equal. If you hold a telescope in your hands -- assuming you own a model that's small enough to allow this -- you almost certainly won't be able to keep the apparatus still enough to prevent disruptions to the visual field. 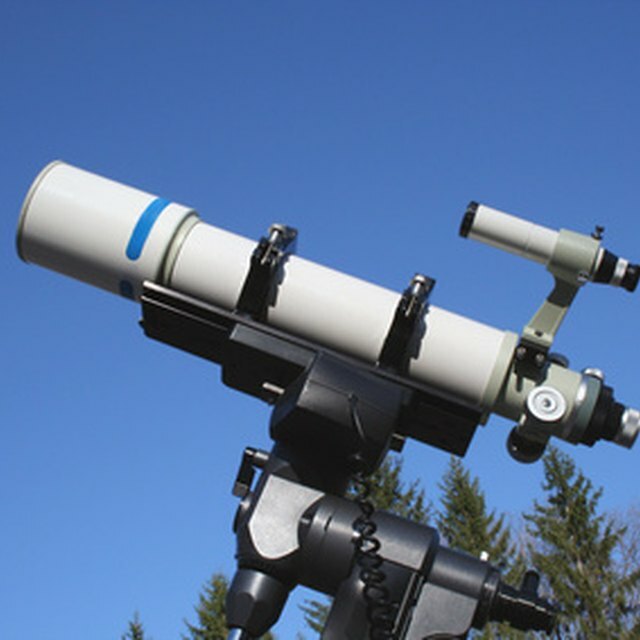 Most telescopes are therefore mounted on fixed stands, such as tripods. 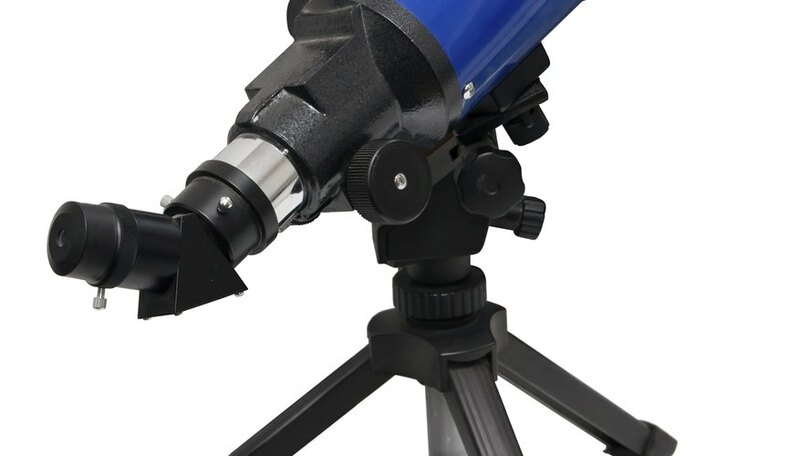 The part of the mount connecting the stand to the telescope proper typically allows for two independent axes of rotation: one in a horizontal plane to allow for directional pointing, or an azimuth, and the other in a vertical plane to achieve a given elevation, or altitude. A backyard telescope typically doesn't have photographic equipment, so what you see is literally what you get. Until the advent of photography in the 1800s, astronomers had to record what they saw by making drawings. Today, research telescopes, which are often not monitored by human beings, have photographic plates; by the end of the 20th century, digital imaging was the industry standards. In addition, research telescopes have devices that track celestial objects as they move in accordance with the earth's rotation, thus keeping them visually fixed in place. Michael Crystal earned a Bachelor of Science in biology at Case Western Reserve University, where he was a varsity distance runner, and is a USA Track and Field-certified coach. Formerly the editor of his running club's newsletter, he has been published in "Trail Runner Magazine" and "Men's Health." He is pursuing a medical degree. Crystal, Mike. "Parts of a Telescope." Sciencing, https://sciencing.com/parts-telescope-5089118.html. 24 April 2017.